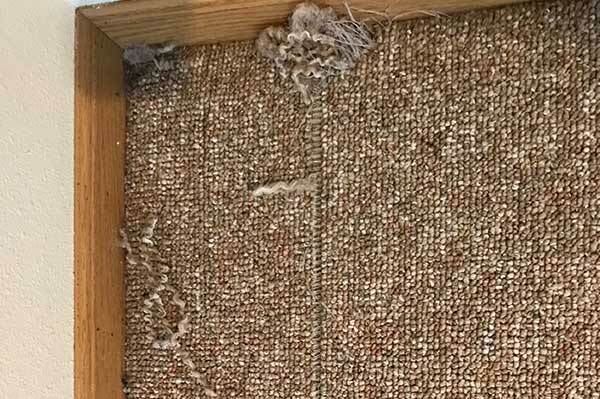 Pet scratching up the carpet? Burn marks? Tripping over the carpet that’s loose next to the hardwood or tile? We can help. Yep! We Fix Carpet provides the best carpet repair for Minneapolis, St Paul and the surrounding suburbs. We are affordable, friendly, and provide same week service. If you are looking to get a deposit back or just trying to save money by not replacing the carpet you have come to the right place. We can solve any physical carpet damage, including bleach spills, stains, and more. Continue reading to learn more about our services and see stunning results! Even the Very Best Carpet Repair is Far Less Than Replacement. Carpet repair costs approximately 60-80% less than the cost of replacing the carpet. It can also be done in the same week as booking instead of the long process of picking out carpet and having it stretched during installation. Have your pets been destroying you carpet? Are you looking to get your rental deposit back or just trying to avoid replacing the carpet we can help. 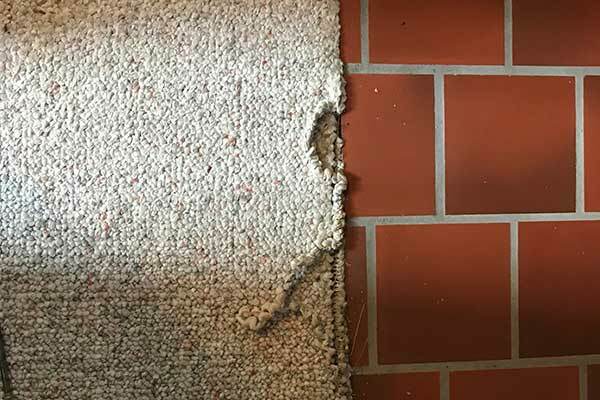 We normally fix pet damage by grafting a spare piece of carpet you have from when you bought the carpet or cut from the back of a closet or inconspicuous area. We even carry extra carpet in our van; in the worst case scenario we can even dye a sample to your carpet color. We use the best carpet repair techniques to ensure that the transition is seamless and looks like new. There has not been a single case of pet damage we have not been able to fix at this point. Yep! We Fix Carpet strives to help pet owners love their pets and their carpet! 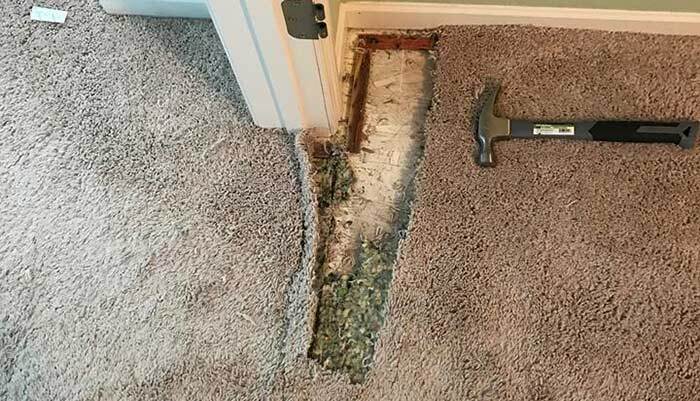 If two pieces of carpet have separated, we can help. Seams should not come apart PERIOD! So if it happens it’s typically an installation issue, water issue or it was intentionally cut do to a flood of some sort. It isn’t a common occurrence that the glue holding the carpet seam together is worn down by foot traffic but it has happened. Using the best carpet repair techniques, we can carefully re-install seam tape under the seam using an innovative tool called a kool glide. Before the seam is professionally re-attached we use latex glue to seal the carpets edge to prevent loose carpet fibers from coming un-attached from the backing of the carpet. 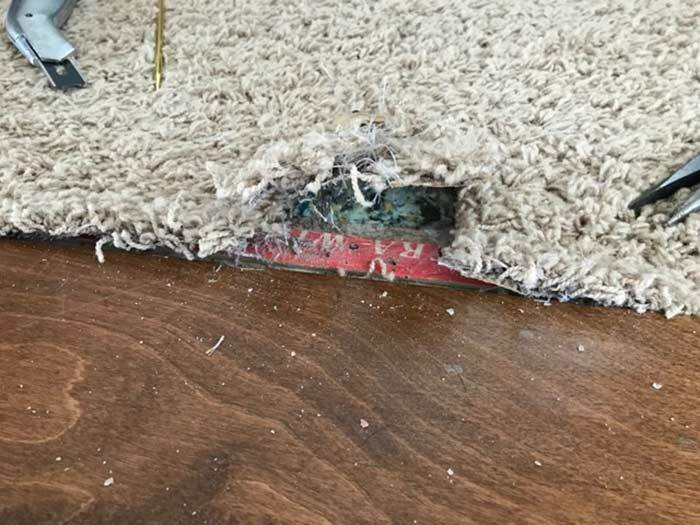 If the carpet is heavily damaged we can add new seams or try to perform other carpet repair techniques to ensure the carpet is back to prime condition. Many people are skeptical that carpet repair will give them a nice seamless result. If you are concerned send us a message on the contact form and we’ll send you more pictures of stunning results or put you in contact with happy customers. Berber is a very fashionable and durable type of carpet and these are also the reasons that Berber is so widely used. If the loops in your Berber have been damaged it is extremely obvious. Luckily, we can fix Berber damage by grafting in a new section. Berber carpet repairs can be hard to make incognito but at Yep! We Fix Carpet we practice the best carpet repair in the twin cities. So put your mind at ease We Got This! Even if you have intricate carpet repairs our specialists use the best carpet repair practices to ensure that complex situations look their absolute best. Seamless repairs are our goal. This means that you can invite friends over with confidence that your repair will look its very best. If you do not have extra carpet in a closet or an inconspicuous area we can take it from, we can try to find a like pattern or style and dye it to match. But this is a worst case scenario! Tripping Over Carpet to Tile Transition? If your carpet is poking up in the place where your tile or hard wood and carpet meet, we can help! Normally this happens when the latex glue that holds the carpet down wears down from normal wear and tear. We can come in and reapply glue to the area coming up. If the carpet is worn or damaged we can even repair the carpet or replace it. Either way your carpet will feel like new at only a fraction of the cost. Sometimes customers find themselves with many issues. The best part of Yep! We Fix Carpet is that we provide deep carpet cleaning, the best carpet repair, and also color restoration all in one place. This means that we are a one stop shop for everything you may need, carpet wise! If you live in Minneapolis or Saint Paul, Yep! We Fix Carpet is the best carpet repair near me. In addition to the services most carpet repair companies perform, like seam repair, pet damage repair, and pet odor removal, we also perform carpet dyeing which can fix any color damage or loss that you may have. This allows us to fix bleach on carpet, heavy stains, and even change the color of your carpet. To us the best carpet repair companies do not provide a service – they build relationships. That’s what we strive to do. We are the best carpet stretching specialist in Minneapolis; give us a call if you want to know how to get rid of carpet bubbles. We also provide quality carpet stretching to Burnsville, Richfield, Savage, Shakopee, Prior Lake, Apple Valley, Bloomington, Roseville, New Brighton, Golden Valley, Plymouth and all the major suburbs and cities around Mpls and St Paul, Mn. Pet scratching up the carpet? Burn marks? Tripping over the carpet that’s loose next to the hardwood or tile? We can help. Yep! We Fix Carpet provides the best carpet repair for Minneapolis, St. Paul and the surrounding suburbs. We are affordable, friendly, and provide same week service. Even the Best Carpet Repair is Less Than Replacement. Have your pets been destroying you carpet? Are you looking to get your rental deposit back or just trying to avoid replacing the carpet? We can help. 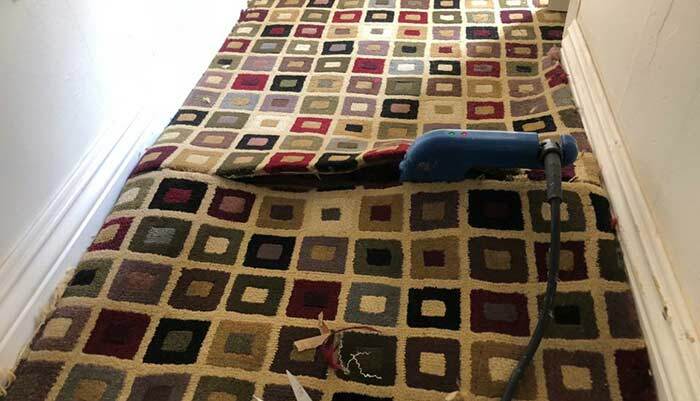 We normally fix pet damage by grafting a spare piece of carpet you have from when you bought the carpet or cut from the back of a closet or inconspicuous area. 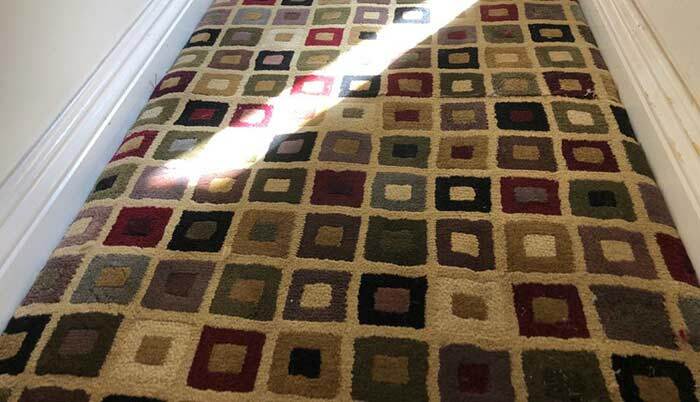 We even carry extra carpet in our van; in the worst case scenario we can even dye a sample to your carpet color. Many people are skeptical that carpet repair will give them a nice finished result. If you are concerned send us a message on the contact form and we’ll send you pictures of stunning results or put you in contact with happy customers. Berber is a very fashionable and durable type of carpet and these are also the reasons that Berber is so widely used. If the loops in your Berber have been damaged it is extremely obvious. Luckily, we can fix Berber damage by grafting in a new section. Berber carpet repairs can be hard to make incognito but at Yep! We fix carpet we practice the best carpet repair in the twin cities. So put your mind at ease, We Got This! We are the best carpet stretching specialist in Minneapolis; give us a call if you want to know how to get rid of carpet bubbles. We also provide quality carpet stretching to Bunsville, Richfield, Savage, Shakopee, Prior like, apple valley, bloomington, roseville, new brighton, golden valley, plymouth and all the major suburbs and cities around Mpls and St Paul.